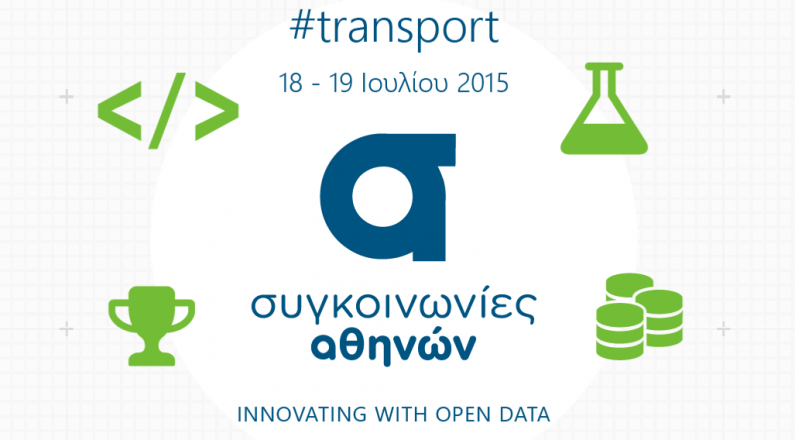 On the weekend of 18 and 19 July 2015 Athens Transport, OASA Group (www.oasa.gr), Innovation Company Crowdpolicy (www.crowdpolicy.com) and INNOVATHENS (www.innovathens), the Innovation and Entrepreneurship Network of Technopolis, under the auspices of the Ministry of Economy, Infrastructure, Shipping & Tourism, Transport and Networks Sector (www.yme.gr) and the National Documentation Center (www.ekt.gr), organized with great success and for the first time a two-day program of marathon – crowdhackathon – Implementing applications, using open data open data. At Crowdhackathon Innovating with Opendata #transport, 130 developers – young entrepreneurs, developers, analysts, engineers, designers, business consultants, professionals and students – participated in 25 teams in less than 30 hours to develop applications around transport, open data and improving services through participatory processes. Crowdhackathon #transport in addition to the contestants was attended by 20 mentors who supported and advised teams in the implementation, 25 companies and 40 public administration officials. A parallel event was the organization of a workshop on the application of the law on open data by public sector bodies (Law 4305/2014). The speakers were Ms Dr. Vassiliki Dalakou, Head of the legal group of the Coordinating IPO Di @ hygia, Mr. Alexandros Economou EDRA Social Cooperative Activities of Vulnerable Groups, Mr. Stefanos Loukopoulos from the NGO Vouliwatch.gr and Mr. Prodromos Tsiavos on behalf of EELAK. The first six teams were awarded prizes, counseling services from the Innovation and Entrepreneurship Center of the Athens University of Economics and Business, NTUA’s Research and Entrepreneurship Interconnection Structure, prepaid VISA cards and a tablet offering by EMPPE. Google, VISA, Hellas Smart Ticket (HST), HERE, INTRACAT and Goody’s Burger House participated as key supporters and sponsors of the action. You can watch videos from the event at https://www.facebook.com/CrowdPolicy/videos. You can see photos at https://goo.gl/M4Z9SE.